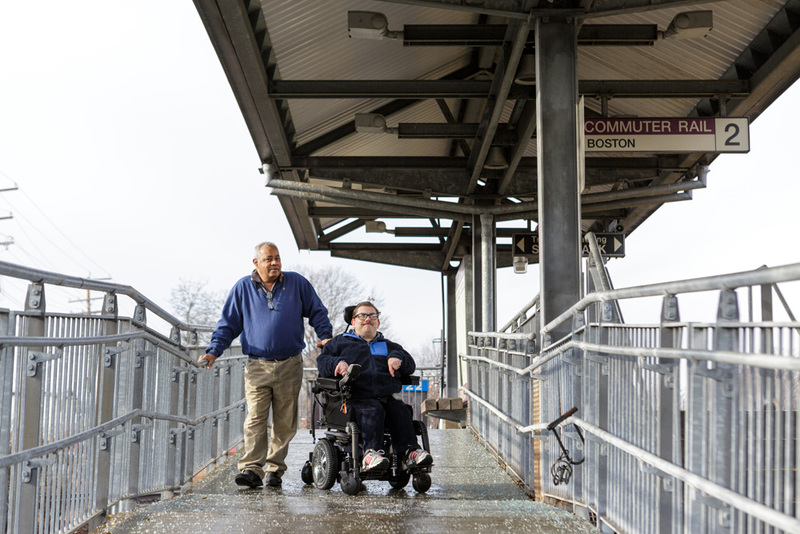 Kevin, a 40-year-old with cerebral palsy, is the happiest he’s been in his adult life, according to his father, Kevin, Sr. Why? Because three years ago, he moved in with Eduardo, who became his Shared Living caregiver, roommate, and above all his friend. 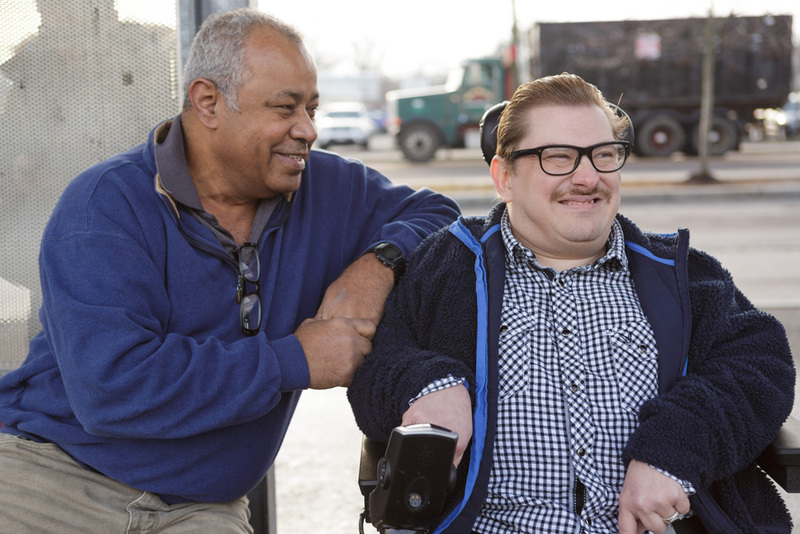 Since he was a young adult, Kevin transitioned through many different living arrangements, including group homes and a supported apartment, and struggled to find the right situation for his needs. They all left him feeling lonely and isolated, and because he was limited to a shared van, his independence and access to the community suffered. 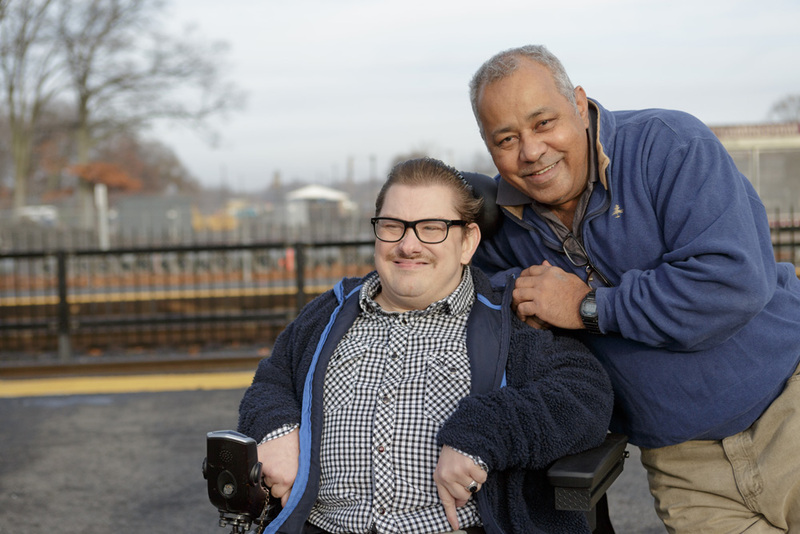 Kevin and his father decided to try Advocates’ Shared Living, which matches individuals and caregivers in a permanent home together, built around a family-focused lifestyle. Eduardo says he was born a caregiver. Before moving in with Kevin, he lived with his sister, Jandira, who is also a Shared Living caregiver to two women. Eduardo helped around the house, provided respite when Jandira needed a break, and had a great relationship with the two women and the Advocates staff. It was only a matter of time before the Advocates team recruited Eduardo to become a caregiver himself, to which he happily agreed. Now the two men live in an apartment not far from Jandira’s home, and the two households often spend time together as one big, blended family. 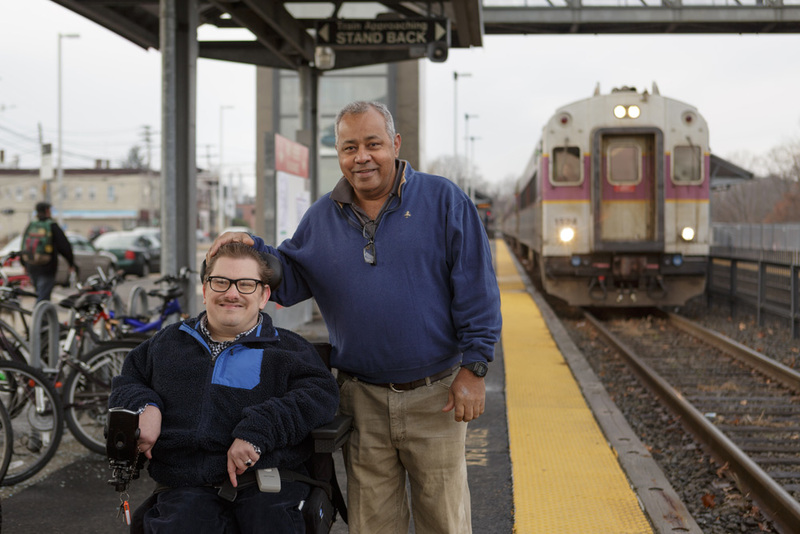 Eduardo attends all doctors’ appointments with Kevin, and they have an accessible van of their own, giving him significantly more independence and opportunities to get into the community, access the train to visit family, and go on other trips with Eduardo. As for Eduardo, he loves Kevin like a brother. “I feel so good when Kevin says ‘thank you.’ I feel so good when I see it in his eyes. He says thank you, but he doesn’t need to."